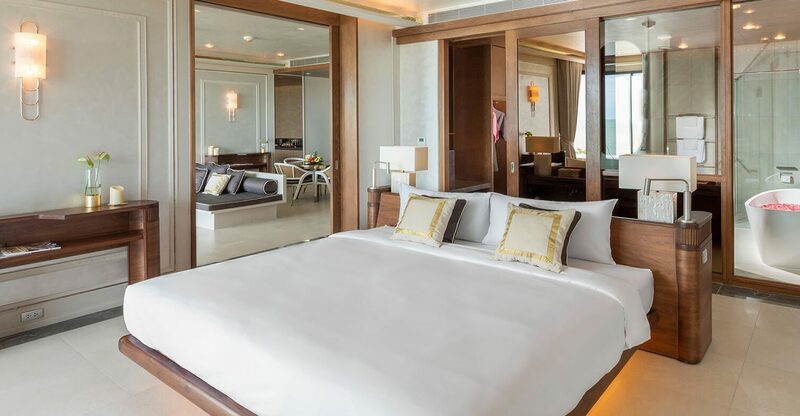 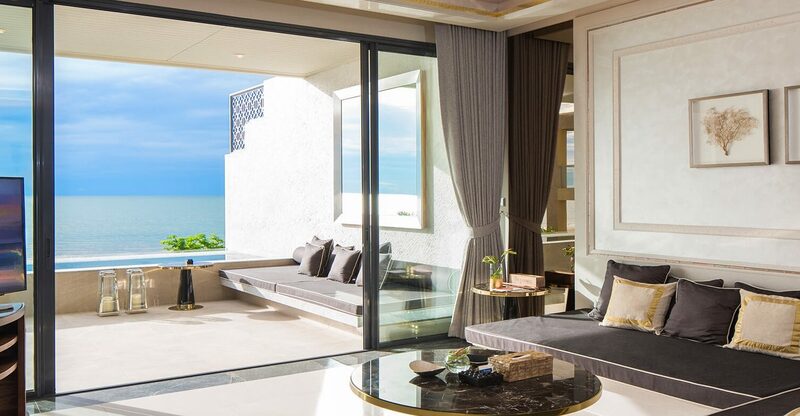 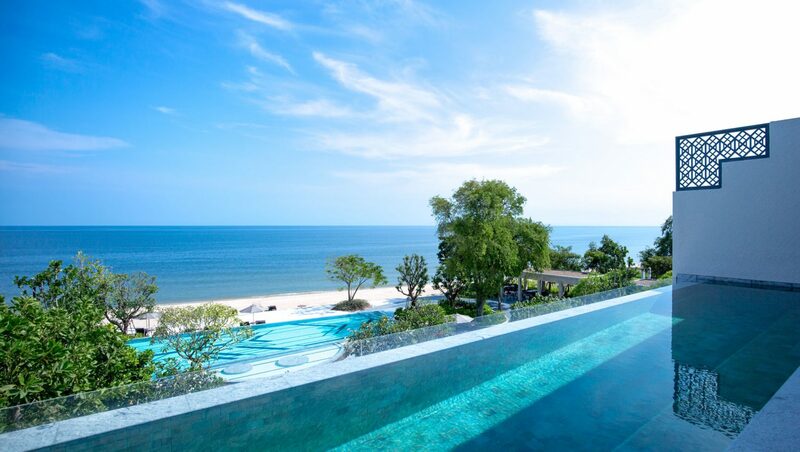 The Beachfront Penthouse look out over the beach club’s swimming pool enclave while affording guests with spectacular views of the Gulf of Thailand. 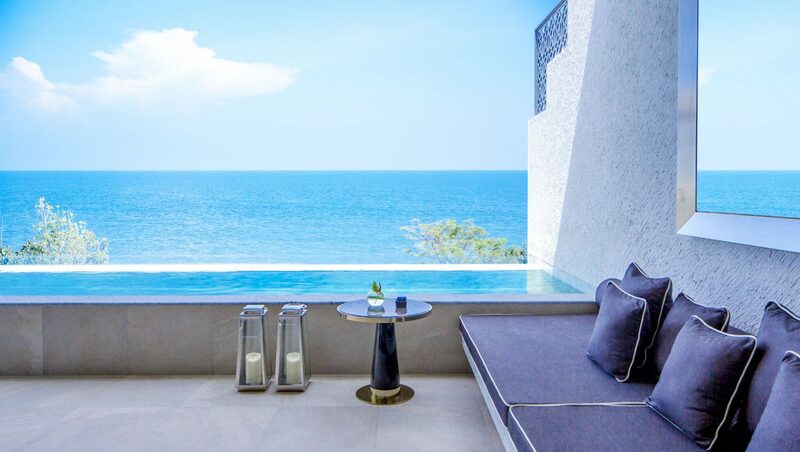 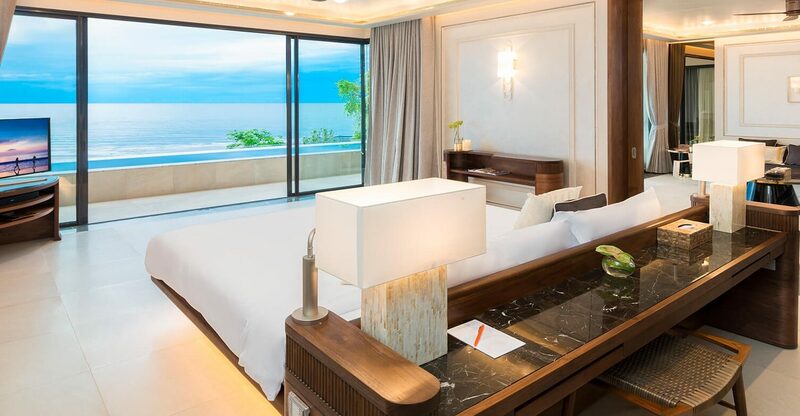 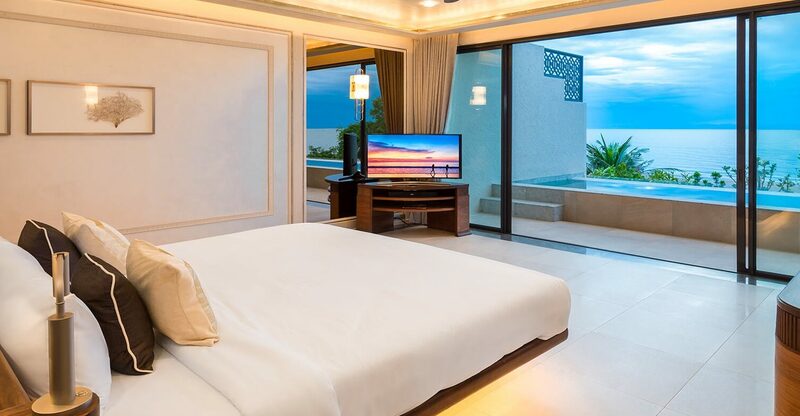 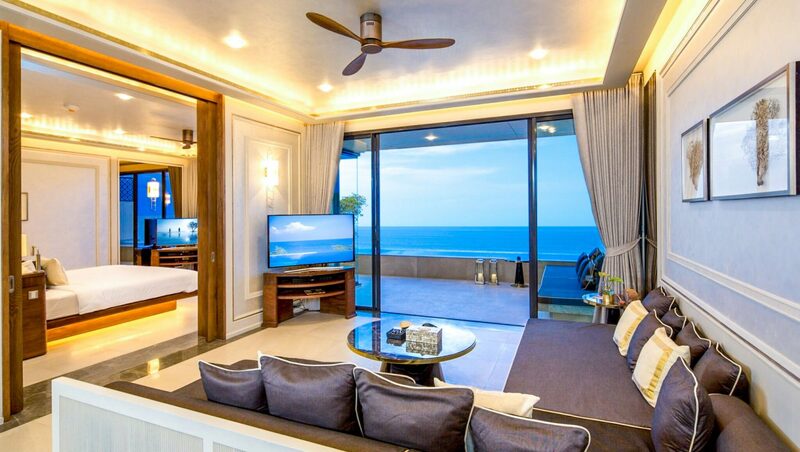 The penthouse are best suited for seaside sybarites looking for a little more party out of their holiday as they help in creating the vibe of the beach club but direct access to the unspoilt Cha-am &amp; Hua Hin Beach still allows for crowd-free refuge. 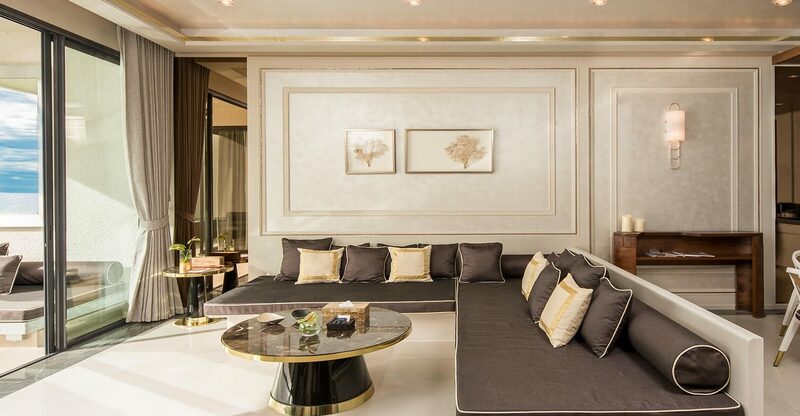 The palatial penthouse are made up of 150 sqm refined living space and offer guests complete privacy fashioned with elegance. 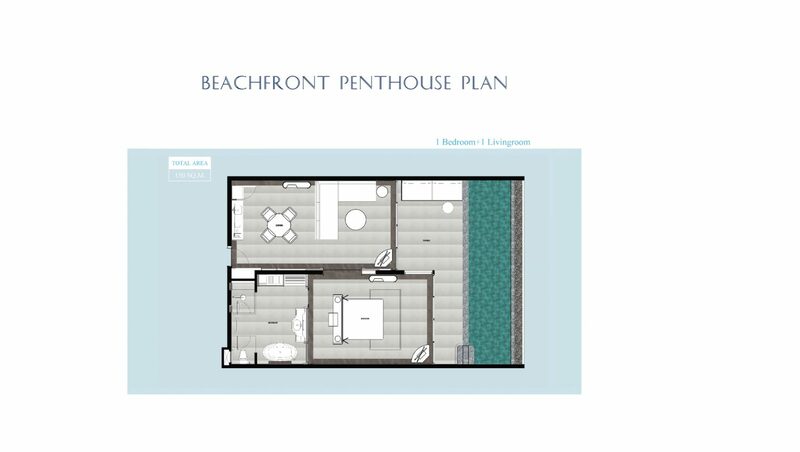 A roomy living space provides a chill area with a pantry, dining table, sofa bed, as well as a private balcony with an infinity pool by the ocean’s horizon view. 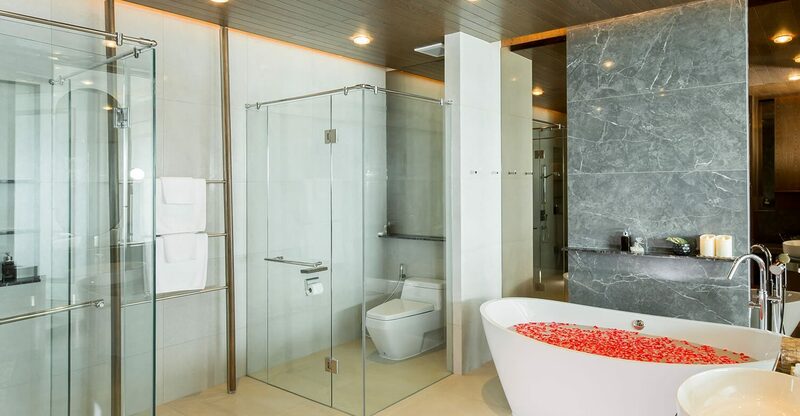 The bedroom is an ultra-chic bedroom with a walk-in closet and bathtub. 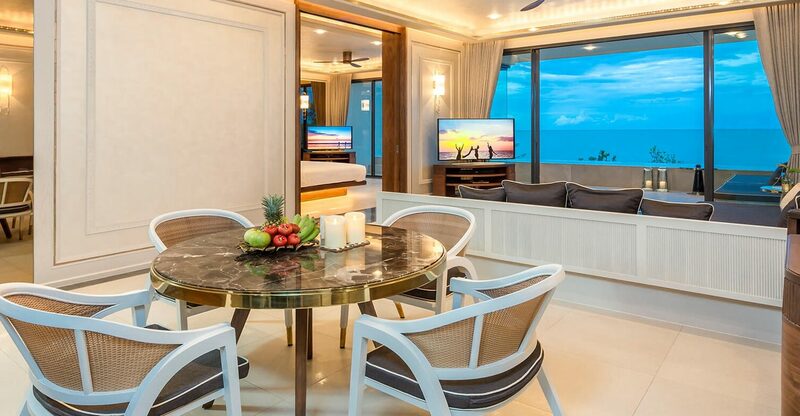 A state-of-the-art entertainment system provided by Bose floods the penthouse with a carefully curated selection of playlists providing background music at all times.